Music is one of the the best ways to help people release from pressure.If you are an iPhone, iPad or iPod user, you may be eager to know how to download musics on iOS devices. Actually, download from iTunes is one of their choices while most musics on it are paid. 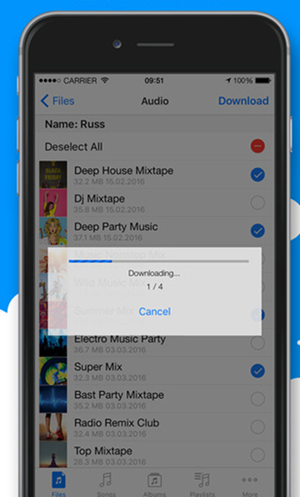 So this article will introduce some common music downloader for iphone. 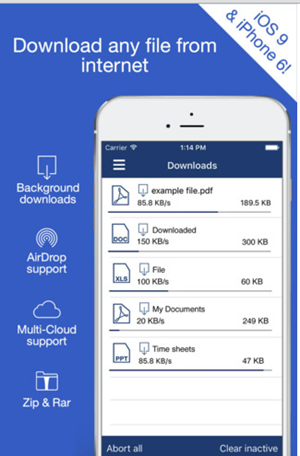 TuneShell is a music download manager which allows you to search musics and download most kinds of audio file formats on your iPhone, iPad or iPod. And users are allowed to manage and edit their music files. 1. Faster download speed than similar apps. 2. Supports most common audio file formats. 3. Edit and save lyrics, album cover, album name, title, artist, year, genre in your music files. 4. 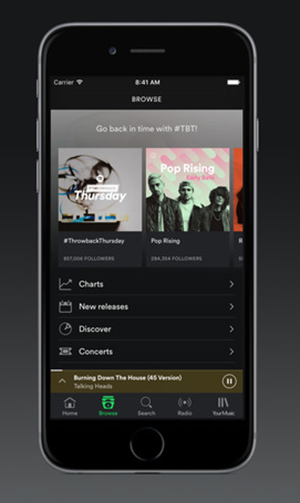 Add tracks to playlist in one tap. Download this app from iTunes store, enter your search query to search for musics, a number of songs will be listed in the search results, then select the songs that you want to download. 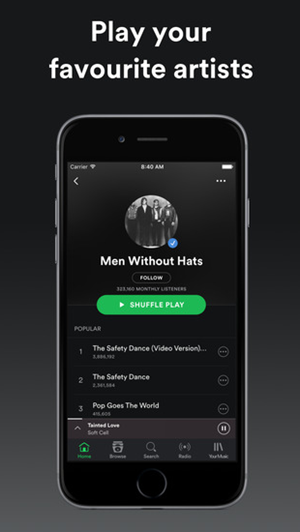 Spotify Music lets users search for music on any legal music download site and download it to your device. Besides, you can get these musics for free. 1. Download musics while listening. 2. 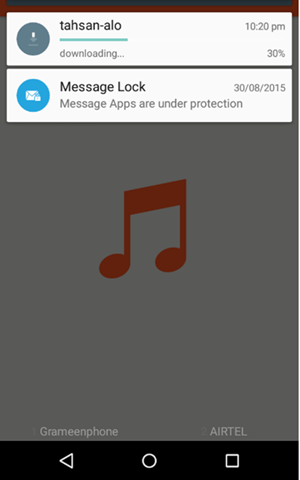 With many typical music player functions: repeat, shuffle songs. 3. Fast download speed even with several songs downloading at the same time. Install this app from iTunes store, type the songs or singers in the search box to find the songs that you would like to download, then select the song and click “Download”. Millions of free legal music and audio books are supplied in Musicloud and can be downloaded to your iPhone, iPod and iPad. Meanwhile, you can listen, manage and sync these musics as well. 1. Display lyrics while listening to music Playlists. 2. Create and manage your own Media Library and folders. 3. Edit tabs for musics, albums, artists, genres, lyrics and more. 4. Move, rename or delete tracks & songs. Download this app to your iPhone or iPad, then open it up and enter the artist, title, album, genre of musics to search. After that, select what you like from the list of songs and click “Download” in the top right corner to synchronize these musics with your devices. 1. Browse to download free musics or videos. 2. Organize and create audios or videos as you want. 3. Watch downloaded video without internet connection. Download this application from App Store, then you can enter relevant search items to search for the musics that you want to download. After the process of download, you can rename and delete the downloaded songs as you like. Users have access to download SoundCloud tracks, songs, music in MP3 format from SoundCloud Downloader to their iPhone or iPad. And what attracts me most is its download speed being in 128kbps & 320kbps speed. 1. Directly search musics by tracks, artists and other users. 2. Follow friends and artists to hear what they share. 3. You can listen to what you want without create a new account, just log in with Facebook and Google+. Go to the App Store to install this application, then launch this app and search for songs to download as you want.